The school sound system ready to go when you are. We made everything as easy for you as possible: easy to set up, easy to use and easy to transport. The package includes the Dance Combo amplifier, 2 speakers, stands, mic and speaker leads. Everything you need to play music and make announcements outside in impressively clear quality. 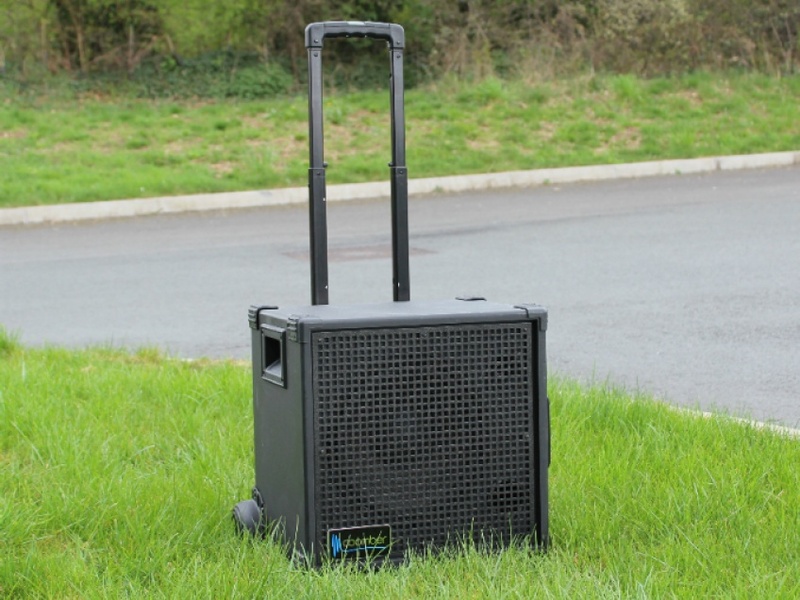 The Dance Combo is the ideal portable amplifier for Sports Day. With internal rechargeable batteries and built-in trolley, you can wheel it from your hall to the sports field and back with hardly any effort. It is loud on its own, but the 2 additional speakers and stands will help distribute the sound evenly, so that no matter where you are on the field, the quality of sound will not be lost. The length for the speaker leads included is 12 metres, but you can always contact us to help you choose the right length for your field. Plus, the Dance Combo and the 2 additional speakers will give you beautiful sound all around the school throughout the year: inside and outside, in the school hall or on the school field, for plays, performances and announcements. Turn it on and enjoy! The Dance Combo is prepared to support your students win the school challenges of the day. 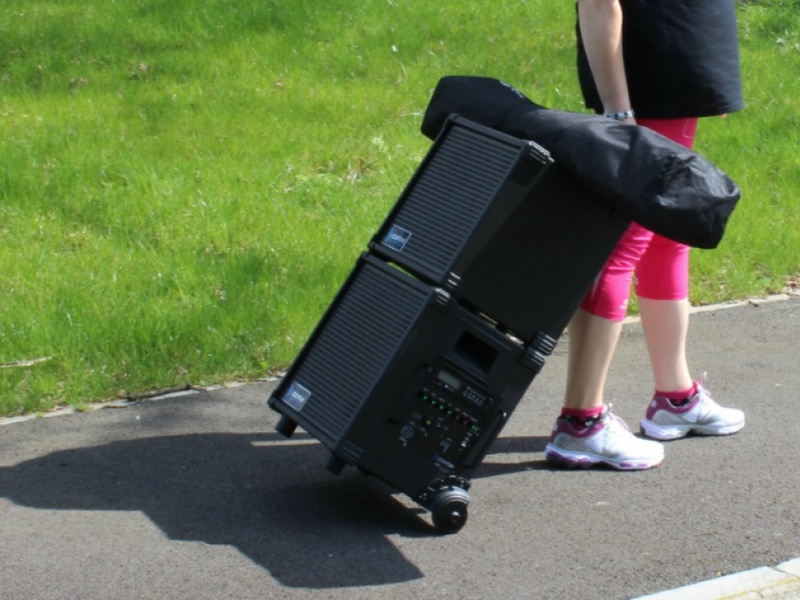 Whether it’s performing in front of an audience or competing in Sports Day activities, this easy to use portable amplifier will be their trusted companion. 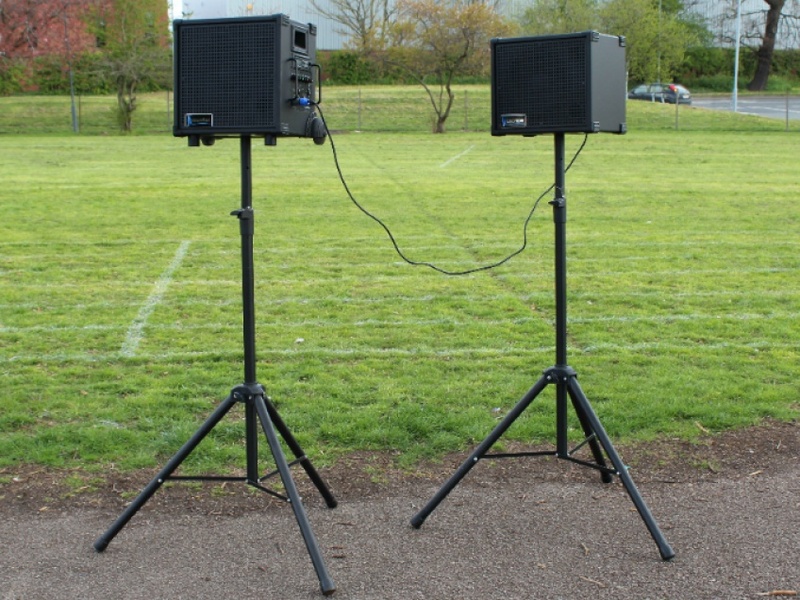 Turn it up to hear the powerful and clear sound in the school hall or on the sports field .You can even customise the Dance Combo based on your preferences. Add the CD/USB/SD card player if all your good tracks are on CDs or USB memory sticks. And the optional built-in receiver for radio mics is available if you want to make announcements without worrying about trailing leads. Take the Dance Combo outside without any worries. The wheels, the built-in extendable handle and the internal rechargeable battery work together to make it the ideal amplifier for outdoors games. 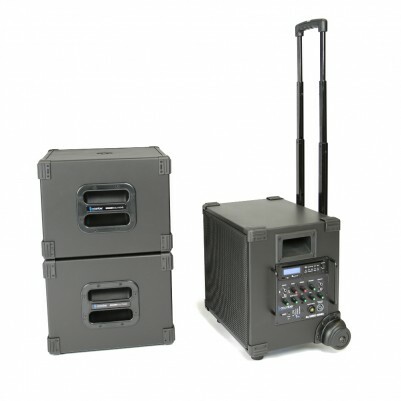 You will be impressed by how loud the Dance Combo can get, but for an even sound distribution around the field we have made it compatible with 2 extra loudspeakers that can be easily connected to the amplifier. To make sure you enjoy the sound quality the trick is to lift the speakers up on stands. So keep this in mind when you plan your purchase.